The true story of Grimoldi was born when founder of Grimoldi family, Anselm,o started his apprentice study at 14 years old with most important master jewellers in Milan. Anselmo soon became a master jeweller himself, crafting and designing custom-made couture jewellery pieces and unique watches. Anselmo’s passion passes through to the next Grimoldi generation: Roberto, Pamela, Giorgio e Cesare have breathed his own experience, love and sincere passion for their own job. Gran Tipo Ovale...such beautiful... big...type...oval... The watch G.T.O is the cocktail of “nature” epressed by coral (interpreted by Borgonovo watch), and mechanism expresed by Ferrari 250 GTO. 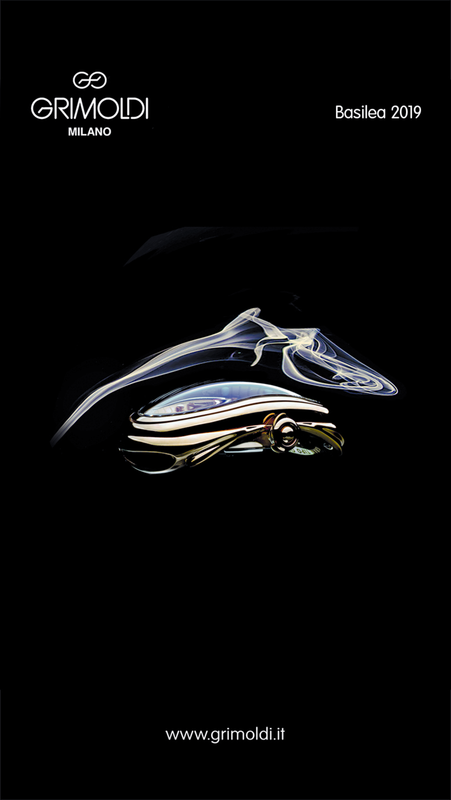 Grimoldi Meccanico collection is made with extreme care and bends smoothly at finger knuckles like a jewelled mechanism. Diamonds and stones give the ring a vintage and retro feeling, while the fitting and design is innovative. Grimoldi’s iconic PACEAMORE collection represents the brand’s philosophy of living the life for LOVE. The iconic heart ring with LOVE writing around, transmits Grimoldi’s design originality and joyful brand nature. Influenced by the art of Byzantine, MEDUSA collection was born. Exotic and sophisticated, MEDUSA collection embodies Grimoldi’s signature vibrant color range and top notch Italian contemporary craftsmanship.